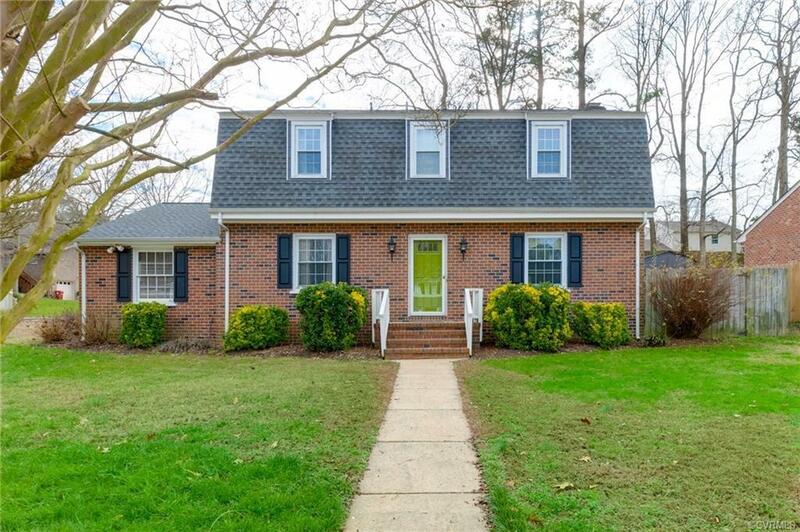 Charming 4 bedroom, 2.5 bath home on corner lot in Colonial Heights - this home is perfect for a family! Kitchen opens up into the spacious family room with brick fireplace. The dining room and kitchen feature hardwood floors. Upstairs you'll find a master suite and 3 additional bedrooms with accommodating hall bathroom. Step into the sun porch for a space to relax and entertain. This home also features a 1 car garage and detached shed. Roof was replaced and exterior was painted in 2015. This home is just waiting for its next owner!